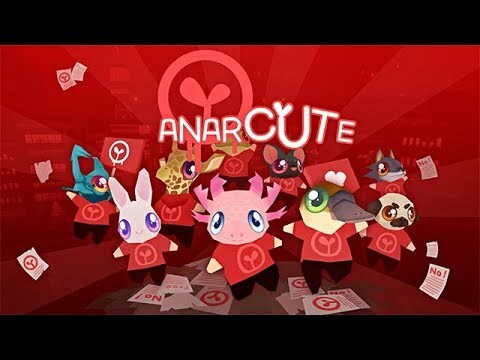 Anarcute is a rampaging riot simulator, combining adorable aesthetics with huge-scale chaos, colorful destruction and crowd-beat 'em all gameplay. These are dark times. A group of evil corporations has taken over the major cities of the world. They took control of the media, brainwashed the police and now shamelessly dictate the citizens' lives from the heights of their skyscrapers. It is time to act. Take control of the revolution to face the terrible Brainwash Patrol who’s dominating the world. During your adventure, you will explore every corner of five cities to find all the animals and customize the crowd to your taste. It is time for the cute revolution.